Фотобанк Rusmediabank – лицензионные Фото, Видео, Музыка - Various bicycles black,flat icons in set collection for design. The type of transport vector symbol stock web illustration. Various bicycles black,flat icons in set collection for design. The type of transport vector symbol stock web illustration. S 500 x 475px 0.5 Mb. M 1000 x 950px 2 Mb. L 2000 x 1900px 8 Mb. XL 5000 x 4750px 15 Mb. 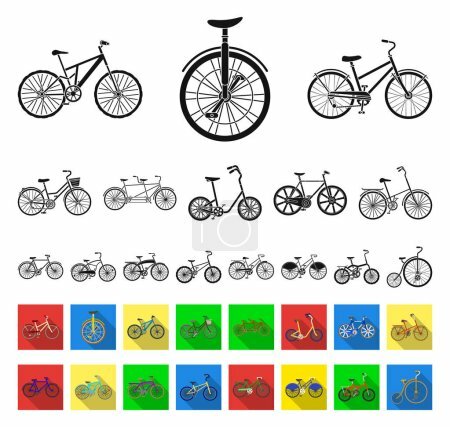 Various bicycles black,flat icons in set collection for design. The type of transport vector symbol stock illustration.